It made me realise that all the things we see in the news, all the stuff happening – good and bad – is a result of people trying to be noticed. Watching in horror at what is happening in Charlottesville, I realised that the problem with white privilege is that most people are not aware of it. If you are born into a position where you don’t have to fight to get a vote, fight to get equal pay, fight not to be searched for no reason on the streets, fight to be allowed to marry for love, fight for representation in government – if these things happen just because of who you are and where you were born – then you don’t feel noticed. The counter-reaction ‘All Lives Matter’ to ‘Black Lives Matter’ is the perfect example. We all want to feel special, but if you don’t realise that you are special just by winning the birth lottery, you need to find a new way of being noticed. Never mind that ‘being noticed’ for many is being abused, hated, feared, belittled and demonised. And oh, social media; the perfect platform for the invisible. Trolls, trying to be noticed by being controversial. Bigots and racists and Trump supporters getting a voice and being noticed in their droves, screaming into the void and not caring who they are stomping over in their desperate need to be somebody. Even average, probably lovely, people on my local Facebook social page, bragging about calling 999 because someone is playing their music too loud at midnight on a Saturday. Us creatives write our books, knit our toys, paint our pictures, and then wait for the world to notice and be impressed (or maybe that’s just me!) We look for nice reviews, good reactions, a heart emoji on a Facebook share, because it makes us feel special. Actually, that’s true for everybody. I read somewhere that the physical reaction to getting likes on a Facebook post or a Tweet is similar to the high from a drug. That’s why children are glued to their phones, seeking affirmation. The louder, busier, noisier the world gets, the harder it is to feel special, the more extreme our efforts need to be to get heard. I think about when I was a child. I knew about twenty people. I knew people were my friends because they said so, or sent me a note in class, or came round to play. I got noticed by being good at school. I was desperate for teacher praise and it took me all the way to a first-class degree. My sister was ace at gymnastics and competed at county. We felt real because of what we achieved, and it made us try hard to excel at those things. 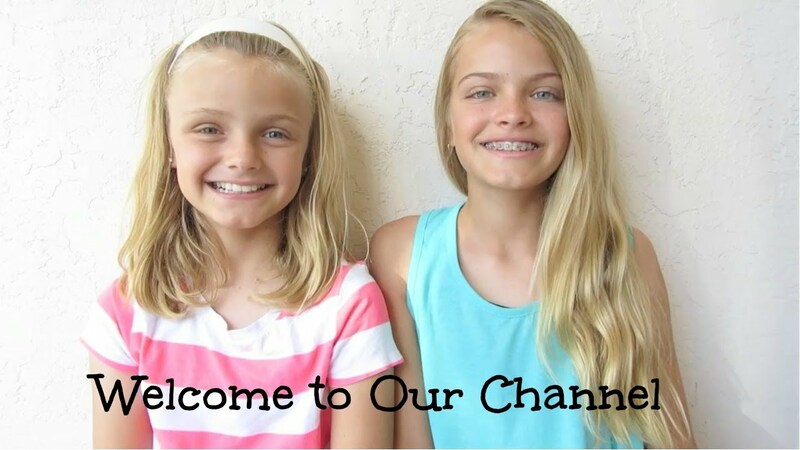 My kids now want to have YouTube channels and Instagram accounts. They’re 6 and 8. They want to be noticed by people who don’t know them and won’t care about hurting their feelings, and they don’t understand why I am reluctant to let them. I want them to have the simpler life I had – I want them to compete at karate if they want recognition, or excel at school. I suspect that feels like too much work, when they watch Kacy and Jacy with their 1.7M subscribers and 8M views (Although the girls must have worked so hard to make as many videos as they have, and they do some crazy things). I cringe every time they lovely girls sign off their videos with “We love you sooooo much.” Really? There is an upside to social media of course. We can connect with our tribe. We can be noticed by people who are like us. As I was searching for the Rachel Stafford quotation above, I read the page of the book that it is from (I must read the whole book, it looks lovely. I follow the Facebook page). Rachel describes an incident in a café, where her daughter reassures someone who made an error by saying, “That happens to me.” That is the core of tribe. We can be noticed and appreciated by people who get us. Empathy goes a long way, and is at the heart of good noticing. Noticing to be able to say, “Me too”. My blog is my happy space of followers who understand me, who accept me for who I am. Ditto the parenting blogs I follow on Facebook. The one where 500 people shared photos of their messy houses to make a mother feel better about not being able to live up to the glossy magazine ideal. The blogs with mums reaching for wine in the holidays or wanting to sell their kids on ebay (don’t be silly, you made him, sell him on etsy, one meme says). Being noticed by friends who see you having good days and bad days. Social media can stop us being lonely. But there is a fine line between quenching the desire to be noticed and life being defined by the search for it. That said, actively noticing people can be such a positive thing. So much of children playing up is because they want to be seen. Although by this point in the summer holidays the phrase “Mummy, look at me!” is driving me to distraction, remembering what is at the heart of it makes life so much easier. I can tell when my children feel like I don’t see them. That’s when they nag and pester and fight and become impossible to live with. They’ll even take shouting and tears from me as evidence that they exist: Any reaction is better than no reaction. If I’m not careful I’ll turn them into Twitter Trolls. Recognising what is at the root of it means occasionally I know to stop, turn off the phone, make eye contact, actually notice what they’re trying to show me. It’s exhausting but oh so rewarding. And a little noticing goes a long way. For me, too, I can tell when I’m grumpy with my husband because he hasn’t seen me, or something I’ve achieved. These days I just hand him the words. “Please notice that I spent two hours cleaning the kitchen because your dad is coming over. No, that’s not enough Wow, more noticing please.” It works, for us, even though it makes me feel like a petulant child. And for him too, often the most invisible person in the household because he asks for so little. Telling him he looks handsome (rather than noticing he needs a shower!) transforms him. I should do it more often. But we do our best. Sometimes we steal the line from Avatar, which puts it more succinctly than a thousand-word blog post. Unless you’ve been living under a rock (or with earphones in, reading classic novels, and listening to rock, in which case I envy you) for the last few weeks/months (feels like forever), you’ll know that Britain had a rather important vote on 23rd June. The European Union: stay (Bremain) or go (Brexit). What’s even better is that I got to vote twice, as my sister applied for a proxy vote. She’s living in America now, and gutted she can’t take part in the presidential elections, so she applied to vote where she could. And thankfully we were on the same page, so I got to vote the same way twice. I find it hugely empowering to vote. I don’t know if it’s because of my English Teacher, Miss Corby, who impressed upon me age thirteen that the vote is a sacred right, and it’s better to invalidate your ballot slip and be counted than not turn up at all. Or learning about the Suffragettes, or seeing what people endure in other countries to be counted. Whatever the reasons, I think I’ve only missed a couple of votes in the last twenty one years. Local Council, MEP, MP, you name it, I’ve voted. It’s frustrating, with the system that we have, that my vote often counts for very little. I live in an area where the majority (or at least the majority who vote, which is not the same thing here, with a miserable turnout usually) vote a different colour to me. Hey, even my husband votes a different colour to me. That’s annoying. But that’s democracy. It’s better than nothing. But the referendum? My vote counts! It’s a yes/no decision. I will make a difference. Whatever you think about Bremain, Brexit, Politics, or anything else, when you consider what people have gone through – and still go through – to cast their vote, being able to do it safely and without prejudice is amazing. I took my dog to the polling booth (so I could post a #DogsAtPollingStations post!). It was quiet, friendly, easy. No picketing people, no riots, no violence. No one turning me away for being a woman or voting for the wrong side. I’ve deliberately written this post before the polling stations close. I don’t want to know the result. In some ways it doesn’t matter. There is no right answer to this, and whatever the decision, change will come. In? Out? What if the hokey cokey really is what it’s all about? I still got to vote, and that’s pretty cool. Yesterday the weather forecast reported humidity at 80-90%. I think I understand my lethargy now! It gave me the perfect excuse to sit in Waitrose – in their air-conditioned café to be precise – and do some of my study. And sew up some more of my son’s jester. It’s a laborious process but it is fun seeing the final toy come together, even if it doesn’t much resemble the picture. In fact I spent most of the day sewing. Except for the short time when I walked the dog – choosing a route through waist-high grass so she wouldn’t get all muddy on our normal route. I could smell something awful as we reached the end of our walk, and thought I must have trodden in something. But, oh no, it was the dog, who had rolled in fox poo. Thankfully I saw on one of the kids’ TV programmes that tomato ketchup is good for getting rid of the smell. Even though the dog managed to shake tomato ketchup all over me, it did seem to work on the stink. Thankfully. Although the phantom smell will linger in my nostrils for days. Amazingly, despite a dismal forecast, the torrential rain stayed away for my son’s cricket training. The sun shone hot on the pretty little ground, while the ominous grey clouds circled around the edge and grumbled to themselves like cantankerous grannies. Thankfully I don’t have children in the later classes though, as it began to pour at 7pm. And thunder too, I suspect, although I couldn’t hear it. But our dog, who hates thunder, paced around like a lost soul until bedtime. It’s a shame, because the rain is a blessed relief. As the first few drops fell, a cold blast burst through the window like the bringer of joy. It reminds me of my short stay in India. One of my housemates ridiculed me for going in August – the monsoon season – but I wouldn’t have missed it for anything. Yes it was hot and sticky and yes the rain was torrential like I’d never seen before (but have seen plenty of since), but if I hadn’t gone I would never have truly understood the exhilaration of walking in a dress and sandals in a downpour, happy to be drenched to the skin. I read a brilliant article on HuffPost Parents this morning called Busy Is a Sickness. The article discusses how everyone seems to be busy these days, but that – when we scratch beneath the surface – that business is often self-inflicted. That we seem to be afraid to be still and be ourselves, so we fill our lives with doing. I laughed out loud when I read that part, because I recognised myself so fully in the statement. I have a friend who has said something similar to me, and I felt equally resentful. Don’t you know how hard my life is? I wanted to say. Don’t you know how busy I am, how hard I find it remembering all the details and running round after my kids. Cooking meals, washing laundry, walking the dog, all while finding time to write and spend time with my children? Pity me. Lately, though, I’ve come to see all those things as blessings in my life. I am blessed to have a family who need me, a dog who loves being walked and who makes me get outside every day, rain or shine. I am blessed to have time to write and to live in a beautiful (messy) house. I am blessed to be able to pick my children up from school every day and be home with them in the holidays. I am blessed to have a husband who doesn’t mind the mess and random meals. It’s hard to remember those blessings all the time, though. Most of the time my internal dialogue reverts back to the ‘woe is me, I’m so busy’ script. We create stories about our lives, what they have been and what they will be. This starts in childhood where we weave our perceptions of our selves and of the world around us into a narrative about what we can and will do. These life scripts then continue to have a deep and unconscious effect on how we live our lives. They affect the decision we make. They control what we think we could easily do and could never do. They shape our self-image. And yet we seldom realize where they come from or even do not know that they exist at all. Our life scripts are often encouraged and shaped by parents and other family members, whose life scripts were shaped by their parents and so on. In this way, we become a product of our family’s history. Likewise, our scripts are also woven by cultural and national forces. Life scripts are not all the same as they may also be significantly affected by individual events, such as being criticized by a teacher or bullied by other children. They also are constrained by inherited characteristics. For example it would be unusual (but not impossible) for a shorter person to include being a basketball player in their life script. There are often overall shapes to life scripts that can be expressed very simply, for example ‘I am a loser’ or ‘I must help save the world’. Life scripts can be very detailed and they can be very vague. They can be very empowering, yet they can also severely limit our lives. I deliberately place myself into positions where I am put upon, unappreciated, stressed or busy, and that reinforces my script. Being busy is part of that. A busy person is a useful person. A person who isn’t busy is lazy. These are things I have inside me. When I first met my husband he was really good at just sitting and being. I saw it as laziness and it drove me crazy. I thought he should be fixing something, cleaning something or doing something useful. I probably drove him to be more busy and less happy. I regret that. Especially now I appreciate the true benefits of stillness. We need to just be. We don’t need to be busy all the time. One of the things that makes me most stressed/unhappy/irritable is when my brain is full. There are two dozen things that need doing right away and my brain is processing them all. I am learning (slowly) to prioritise. To accept my house will never be fully clean. I practice Mindfulness and tell those thoughts to just clear off for a while. It’s very liberating. But to the outside world I probably look lazy and, being an HSP, I care what the world thinks. When I chose to be a stay-at-home-mum/writer I felt I had to be busy all the time, or people would think less of me. That I was more important or a better person when I worked 12-hour days to meet crazy deadlines. I felt I had to drive myself to fill every minute and rush rush rush. I had to rush the kids to school, even though I didn’t have to get to work on time. I made excuses, I never stopped. I had suicidal thoughts. I came to believe the world would be better without me because I was so rubbish, so lazy, so incapable of being as good and busy and productive as all my doctor, nurse, teacher friends who were making a real difference in the world. It was a dark time and it took medication and a good doctor and the support of a loving family to come through it. But, most of all, I had to learn to be kind to myself and forgive myself for not being everything I wanted to be or thought I should be. I learned to nap when I need it, to leave early to pick up the kids so I’m not rushing. I learned it’s okay to read a book, knowing I made my choices. Do I feel guilty that some people are the ‘have to be busy to make ends meet’ sort because they have bills to pay? Yes, I do. But sometimes I think even that is about choices for some (not all, most definitely). How often are we working for the next car, house, holiday when we wouldn’t need those things if we were happier in ourselves? Do I still care what the world thinks and have to justify my actions? Of course; that’s why I’m writing this post after all. I still have ‘pity me’ moments. I still want the world’s sympathy. Want my life, my worries, to be more important than everyone else’s. But I see those thoughts for the intruders they are. They aren’t my thoughts, they’re learnt and inherited. I can choose to ignore them. “So my prayer today is this. That I stop defining myself by my doing, and start defining myself by my being. That I stop measuring time by the clock on the wall, and start measuring it by the experiences I share with those around me. And that I stop seeing my life as “busy,” and instead, see it for what it truly is. One of my favourite blogs, Culture Monk now called Coffee and Conversation, is written by Kenneth Justice. He discusses many big themes, such as community, culture and religion, and I often find myself nodding in agreement (although as an agnostic I don’t necessarily agree with everything he writes). Today he published a post called Adulthood no longer exists…. I had to read it, because it has occurred to me many times since becoming a grownup that there aren’t really any grownups and we’re all winging it. In fact there’s a quote to that effect going around Facebook at the moment (I’ll link when I find it). I think you become most aware of it when you have children and you realise you have to start being the adult. I often look at my parents and my father-in-law and think they seem so grown-up, but I know that they don’t feel any different inside than they did when they were in their teens or twenties, just the same as me. I also read the article because recently I’ve felt that my husband and I need to grow up a bit more, take a bit more responsibility, spend a bit less time playing computer games and more time cleaning the house and taking the children swimming. But then I read Kenneth’s article and, instead of confirming my view, it made me reconsider. Mostly it made me reconsider what we mean by Adulthood. Does there have to be a demarcation between child and adult? I look at my children and they’re amazing. They see the world with such fresh eyes, they are open to endless possibilities, they live in the now and rarely dwell on the past or grievances or things they don’t have. Why would we want to be different to that? Also, as I read more of the article, which focussed on people playing games on their phones instead of interacting in coffee shops, I realised that such behaviour might be that of a teenager but it certainly isn’t that of a child. A child would be in there, introducing themselves to everyone and discussing what they had for breakfast. We train that out of them when we tell them to grow up and behave, to be wary of strangers, to stay out of other people’s business. This was my comment on Kenneth’s blog: It focusses mainly on the gaming aspect (and by gaming I mean computer games, not gambling. I have a whole different view on that!) I’d like to discuss this further but I have a dog to walk and children to collect, so I’ve just pasted the comment here. I would love to know what you think! For once I’m not sure I agree with you. I have had many similar discussions with my husband recently because a) he and I would rather be gaming in the evening than reading (and I’m a writer of fiction, there’s nothing wrong with my intellect and I love to read, whether it’s YA or Hemingway) and b) our six year old daughter would rather play computer games and watch youtube videos than read. Again, she’s a very bright child and I don’t see the games as diminishing her intellect. If anything, they are stretching her far more than the drivel her school send her home to read. She is discussing strategy and learning about the world. Those were her exact words and they floored me. No, of course she doesn’t. I hope she doesn’t, because she lives in a completely different world to the one I grew up in. I read to escape at her age. Enid Blyton and Sweet Valley High books, even Lord of the Rings and other weightier tomes (for an eight year old) were my friends and family. But do I look back and think that was healthy? Not really. I was escaping life. My daughter doesn’t read I believe because she doesn’t need to escape life. She loves life. She doesn’t need to be entertained – she is entertained, by her drawing, her brother, her toys, and by the ipad. My children discuss their games together, they strategise and plan and compete and learn and help each other. Even on a ‘mindless’ game like Minion Rush I see them getting so much from it. And me, too. I’ve never felt so alive – since becoming a work from home mum – as when I started playing strategy games. I am using my brain like never before. I have something to discuss with my husband: we talk far more than we used to when I was buried in my books all the time. We have few points of contact in our choices of books and films but we found a common point in games. I don’t disagree that culture is becoming fragmented, that people are spending more time in their virtual worlds and less time making human contact. I worry that empathy is disappearing (and then I read some posts on Humans of New York and my faith is restored.) I quite often only speak to people at the school gate, and not even then if I’m tired. But I certainly wasn’t having deeply intellectual conversations before becoming a SAHM or before playing games on my ipad. My friends and I talked about clothes and handbags and restaurants and movies and a bunch of other things I couldn’t always relate to. Even my husband and I don’t talk politics because we don’t have the same beliefs. I’ve found my own tribe online. Facebook is my coffee shop where I hang out with friends and discuss the political views I subscribe to. My blog is where I chat and swap parenting stories and work things out. Maybe culture isn’t failing, maybe it’s just shifting. Maybe we’re no longer restricted by trying to find common ground with the people we happen to exist alongside geographically, maybe we can reach out to a whole world and find people who are like us, wherever they exist (or even whether they are real, I guess). Anyway, something for me to think on when I have my coffee! 🙂 Great and thought-provoking article.